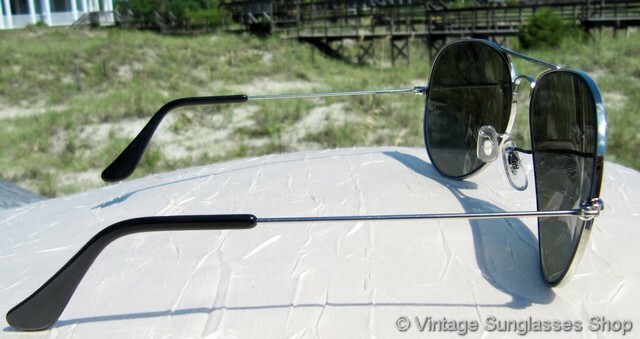 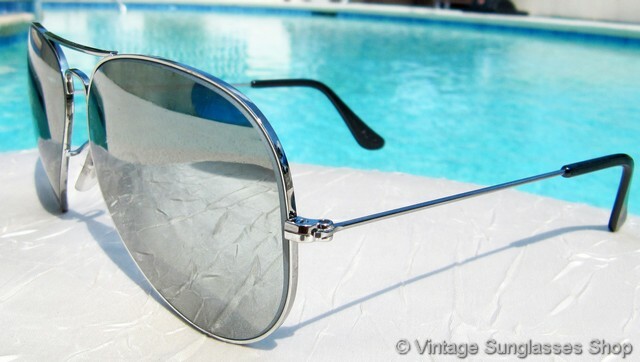 1 VintageRay-Ban W2464 Classic Metals Large Metals silver mirror aviator features a gunmetal silver aviator frame as the perfect complement to the rare silver mirror Bausch & Lomb 62mm mineral glass lenses. 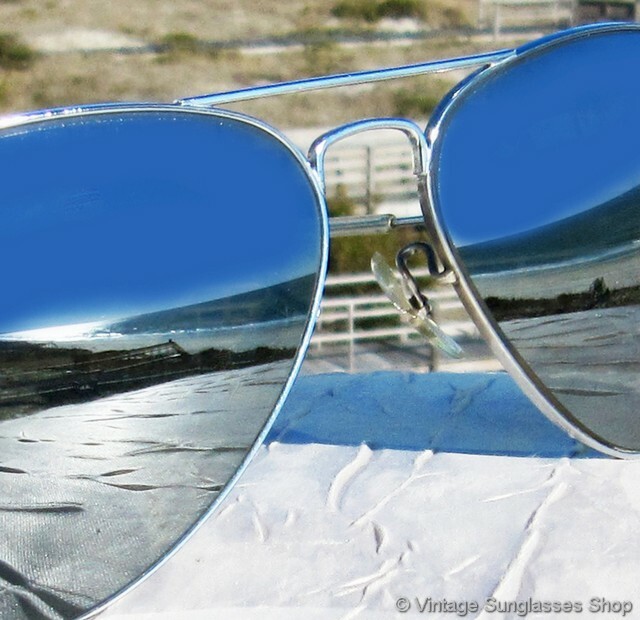 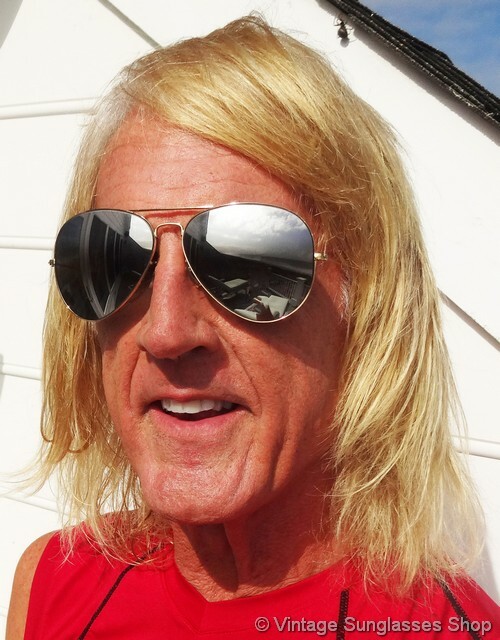 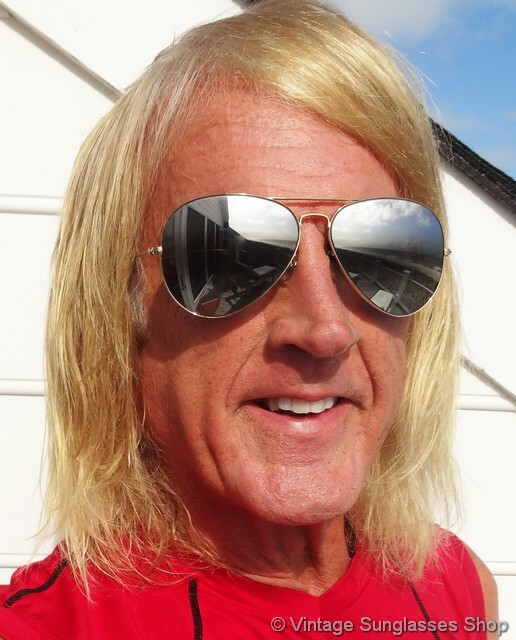 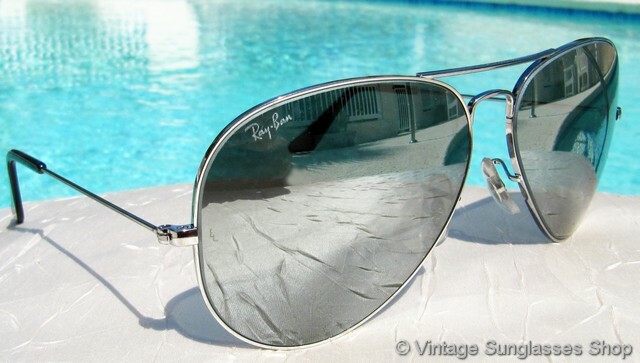 Don't be deceived by fakes - most Ray-Ban mirrored aviators at online auctions are either counterfeit or new reproductions. 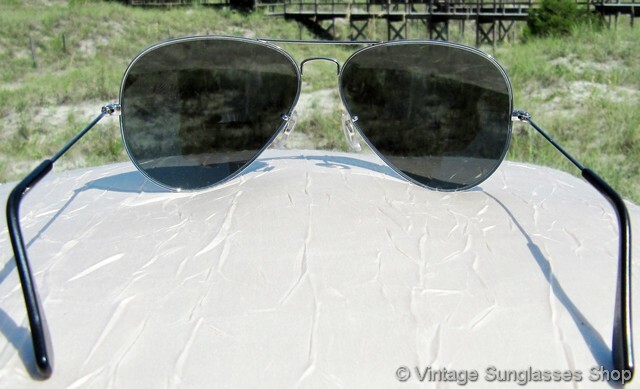 The unisex aviator frame measures approximately 5.5" temple to temple, popular with men and women including Sandra Bullock who was photographed wearing these vintage B&L Ray-Ban W2464 mirrored aviators in 2009. 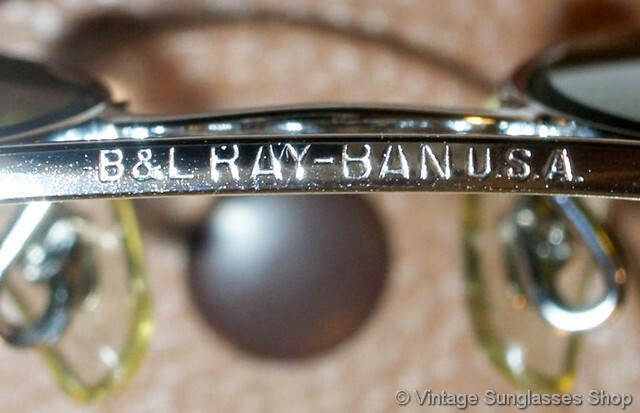 The top of the nose bridge is marked B&L Ray-Ban USA and the bottom of the bridge is marked B&L Ray-Ban 62  14 all impressed in the plating. 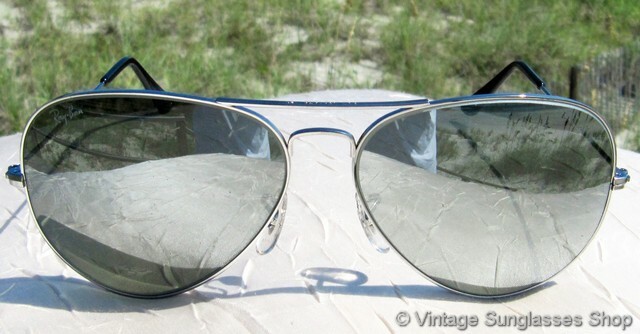 The 62mm mirrored lenses measure approximately 2.375" x 2.125" at the widest points, and the right lens is laser etched Ray-Ban while both lenses are laser etched BL near the hinges. 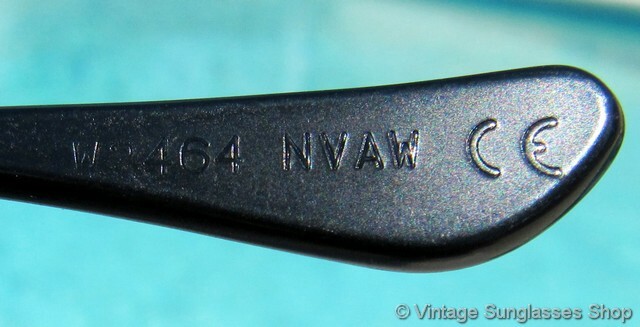 You'll also find the model number W2464 NVAW CE impressed in the paddle ear pad on some production. 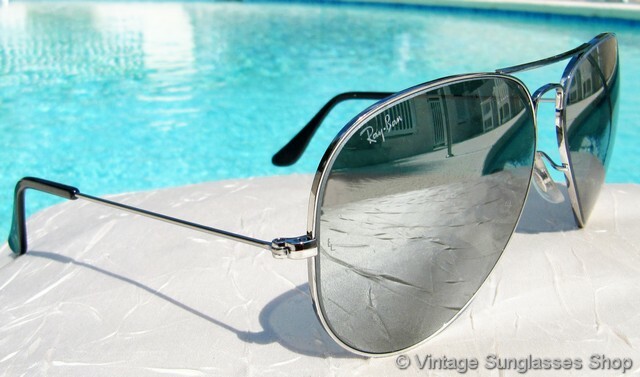 Authentic new old stock vintage B&L Ray-Ban W2464 Classic Metals Large Metals 62mm gunmetal silver mirror sunglasses in mint, unworn condition. 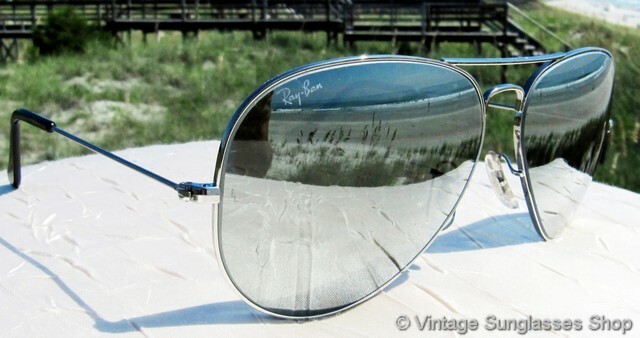 2 If you have a smaller face size and want the identical style in a 52mm lens, the rare Ray-Ban W2485 Classic Metals Small Metals silver gunmetal aviator with silver mirror lens is your answer. 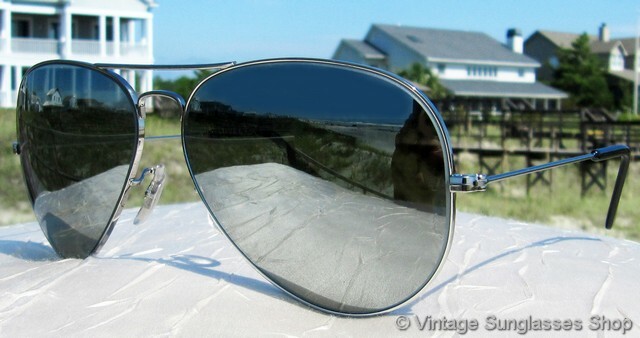 It is identical in appearance to the W2464 above except that it's a smaller size with 52mm versus 62mm lenses. 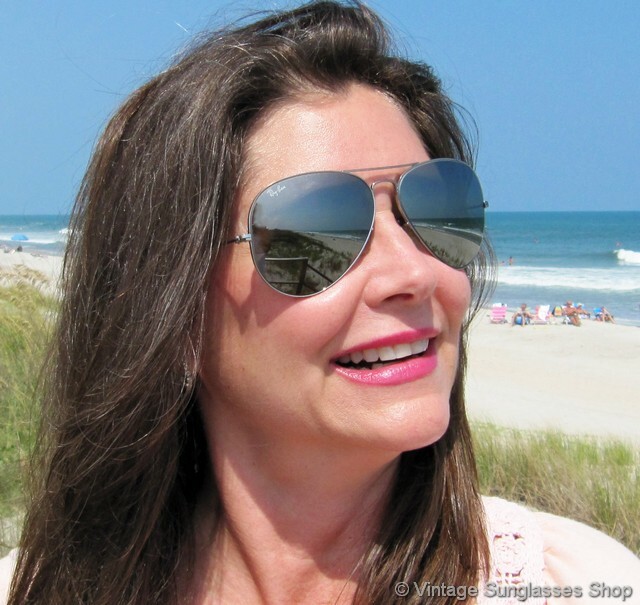 The unisex aviator frame measures approximately 5.0" temple to temple and the 52mm lenses measure approximately 2.0" x 1.675" at the widest points. 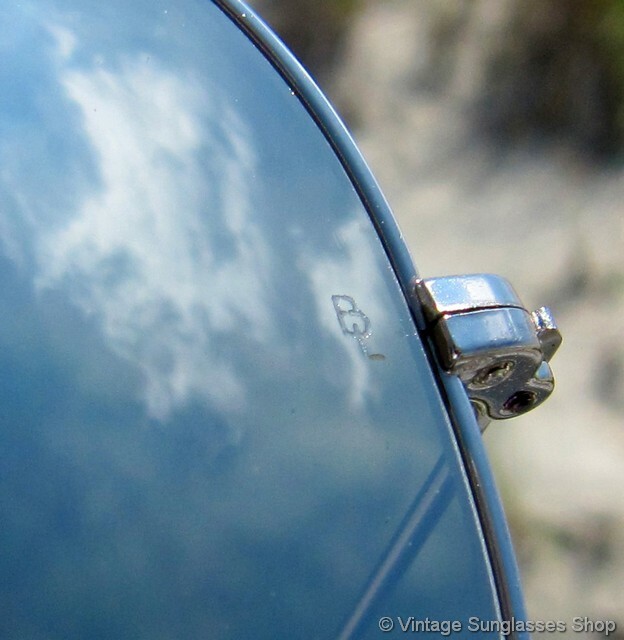 The frame is marked above the nose bridge B&L Ray-Ban USA and below the nose bridge B&L Ray-Ban 52  14 all impressed in the metal, and one ear pad is impressed W2485 OOAS.